The Sainte-Chapelle is a royal chapel in the Gothic style, within the medieval Palais de la Cité, the residence of the Kings of France until the 14th century, on the Île de la Cité in the heart of Paris, France. 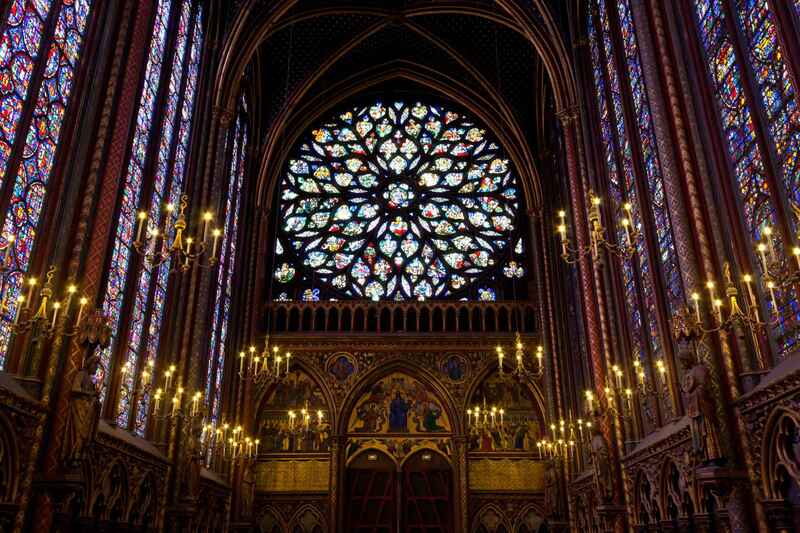 Begun some time after 1238 and consecrated on 26 April 1248, the Sainte-Chapelle is considered among the highest achievements of the Rayonnant period of Gothic architecture. 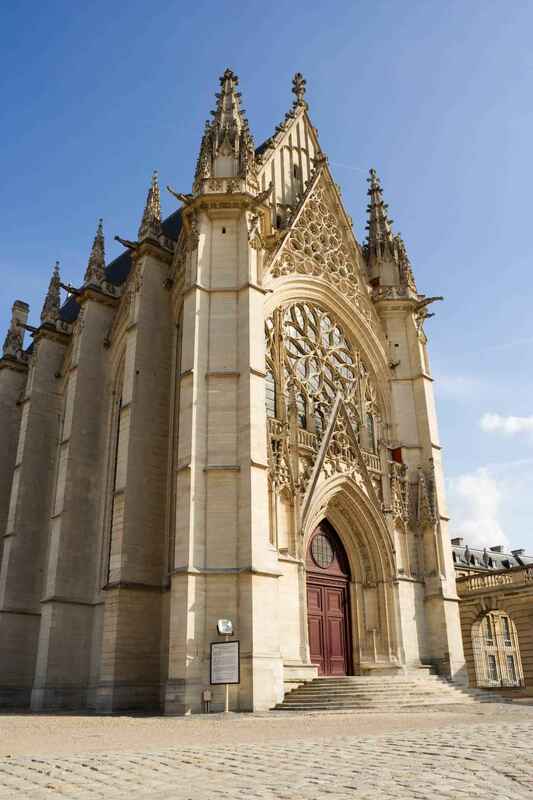 It was commissioned by King Louis IX of France to house his collection of Passion relics, including Christ's Crown of Thorns—one of the most important relics in medieval Christendom. The Parisian palatine chapel, built to house a reliquary, was itself like a precious reliquary turned inside out (with the richest decoration on the inside). Although the interior is dominated by the stained glass, every inch of the remaining wall surface and the vault was also richly coloured and decorated. Analysis of remaining paint fragments reveal that the original colours were much brighter than those favoured by the 19th-century restorers and would have been closer to the colours of the stained glass. The quatrefoils of the dado arcade were painted with scenes of saints and martyrs and inset with painted and gilded glass, emulating Limoges enamels, while rich textiles hangings added to the richness of the interior. Above the dado level, mounted on the clustered shafts that separate the great windows, are 12 larger-than-life-sized sculpted stone figures representing the 12 Apostles (six of these are replicas—the damaged originals are now in the Musée du Moyen Age). Each carries a disk marked with the consecration crosses that were traditionally marked on the pillars of a church at its consecration. Niches on the north and south sides of the chapel are the private oratories of the king and of his mother, Blanche of Castile.